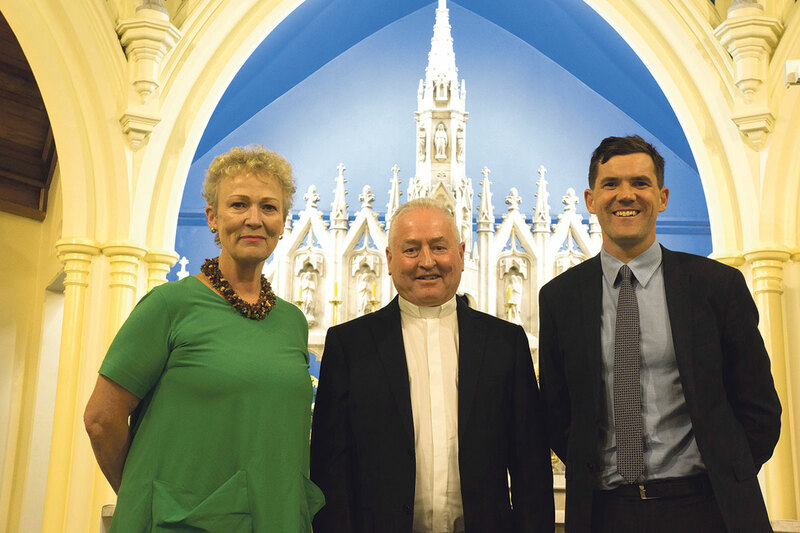 WelCom July 2017: Wellington Mayor, Justin Lester, recently presented St Mary of the Angels parish priest Fr Barry Scannell with an Absolutely Positively Wellingtonian Award. The city council’s awards acknowledge members of the community who have made outstanding contributions to the Capital and its people. Wellington city councillor Nicola Young introduced Fr Scannell to the other recipients and guests. She described him as a ‘tireless worker’ who is ‘deeply involved in many areas of Wellington life’. Councillor Young lauded Fr Scannell for making the decision to close the church in the interests of public safety. Labelling both the fundraising campaign and his lead role as ‘ambitious’, Young praised Fr Scannell for continuing to lead his congregation throughout the challenging process.